JP Morgan Chase has unleashed a five-year $20 billion investment plan that includes 400 new branches, 4,000 jobs and an increase in staff wages across the US. It says this is possible due to its “business performance, recent changes to the US corporate tax system and a more constructive regulatory and business environment”. It is also a stark contrast to yesterday’s report concerning branches in 2017. Last year, US banks accelerated their pace of branch closures, shutting down 2,069 locations (an 18% increase compared to 2016). 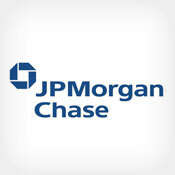 JP Morgan Chase says its investment will focus on several key areas. This includes wages – which will increase 10% on average; ranging from between $15 and $18/hour for its 22,000 employees. It will expand its branch network into new US markets, and these branches will directly employ about 3,000 people. Currently, the firm has 5,130 branches in 23 US states and intends to expand to 15-20 new markets in several new states over the next five years. In addition, the firm will hire 500 new bankers to support local businesses where the firm already has a presence. According to JP Morgan Chase, these new branches and bankers will help the firm increase small business lending nearly 20%, or $4 billion, over three years. The remaining 500 new jobs will consist of home lending advisors. It intends to tap into the low-and moderate-income communities – and says its lending will increase by 25% to $50 billion total over the next five years. A step towards facilitating real-time treasury.